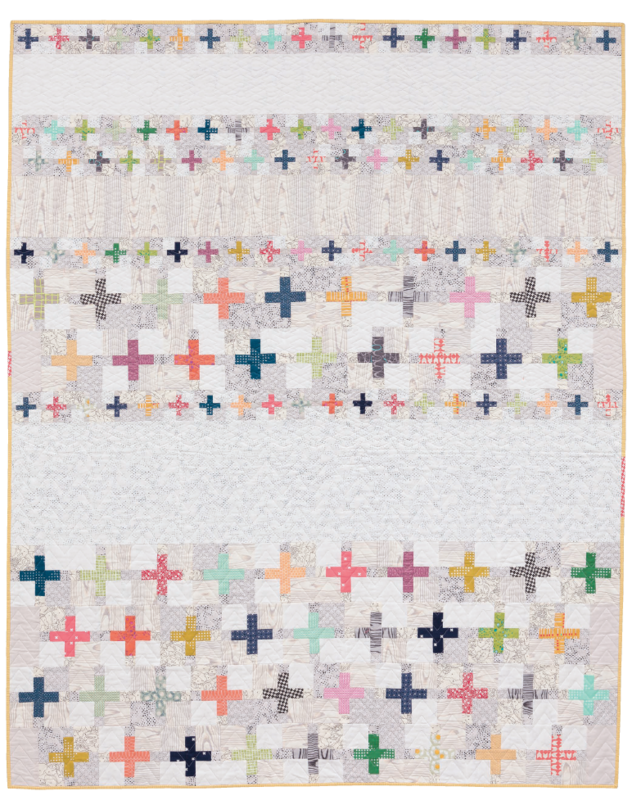 The Comfort Quilt from my new book, Modern Heritage Quilts is one of my most favorite quilts ever. I attempted to use as many fabrics as possible in the quilt top, and love the scrappy background prints too! I really makes each of the cross blocks stand out. 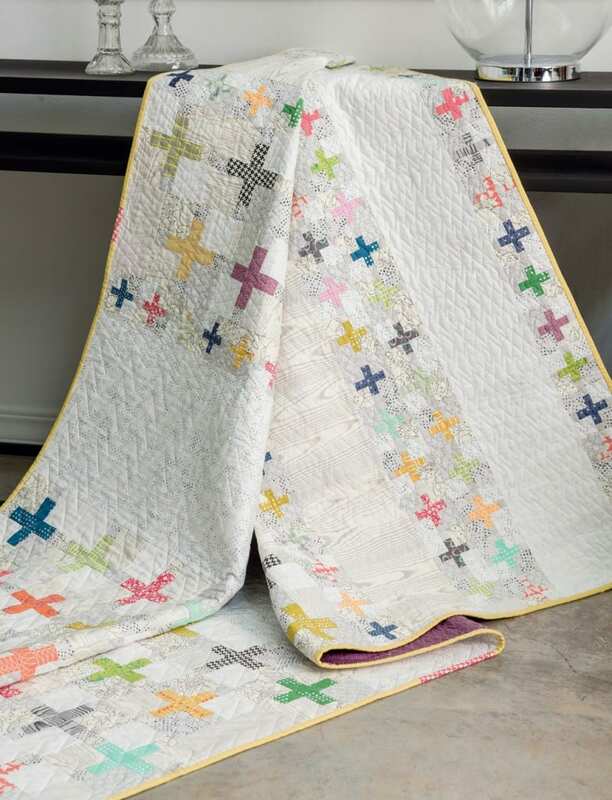 There’s something special about a scrappy cross quilt. This design came about as I looked into the history of the Red Cross and the quilts made to be auctioned off as fundraisers during wartime. Signatures of those who had purchased a spot on the quilt top surrounded the simple Cross block, filling the background fabrics with ink or names embroidered with red floss. Comfort and love was stitched into each block in these simple yet beautiful quilts. Make this project with a special someone in mind or to have ready for a friend in need someday. This quilt is pieced with straight seams and lots of chain piecing and generally pretty simple once all of the cutting is complete. When cutting a project like this, I like to cut and group the focal fabric for each block as I cut. Cutting this way helps to keep me organized, and know how many have been cut. There’s almost always an extra couple of blocks too, so that I have options when laying out the rows of blocks. I love how the variety of background fabrics make a little bit of movement with the quilt top too. To achieve this level of scrappiness, try cutting from at least five different backgrounds, then when sewing opt to randomly sew the background pieces in place without overthinking the choices. I know sometimes this is easier said than done! Amy, How do you find the “today’s Prompt”? I am a new to instagram user.